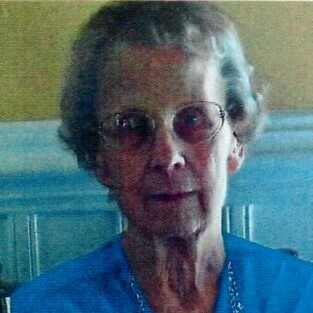 Obituary for Mary Elizabeth (McGirr) Coy | Fleming & Billman Funeral Directors, Inc.
Mary Elizabeth (McGirr ) Coy, 86, passed into heaven on October 26, 2018 at the home of her daughter in Maryland. Born February 19, 1932 in southern Ohio, she lived most of her adult life in Ashtabula County. She was preceded in death by her husband of almost 60 years, Donald E. Coy; her parents Malden (Sally) Young and Roy James McGirr; her sisters Mona and Jane; and brothers Charles and Roy. Mary is survived by her daughters Mary Lou, Julie, Belinda and husband Wayne; grandchildren Kevin, Michelle, Eugene, Jeremy and wife Jennifer; and great grandchildren Nathan, Natalie and step grandson Nicholas; all of Maryland. Surviving also is her son James and wife Kathy of Conneaut; his three stepchildren, and numerous grandchildren and great grandchildren. Mary’s several cousins, nieces, nephews and dear friends also remember her. Mary worked at Garfield’s Restaurant for many years. Her last Ohio residence was at the Ashtabula Towers. She was a loving wife and mother, good cook, an avid reader but most enjoyed time with family especially the little ones. Services will be held Saturday November 3 at The Ashtabula Home of Fleming & Billman Funeral Directors and Crematory, 526 W. Prospect Rd. Ashtabula with calling hours at 10 a.m. until the service at 11 a.m. Burial will follow at Maple Grove Cemetery in Plymouth Township. Officiating will be Mary’s niece, Pastor Patricia Schneider of Norwalk. A reception will follow at First Community Church of God on South Ridge Road. In lieu of flowers, memorial contributions may be made to any Hospice Organization or the Salvation Army. Condolences, light a candle and obituary at www.fleming-billman.com.